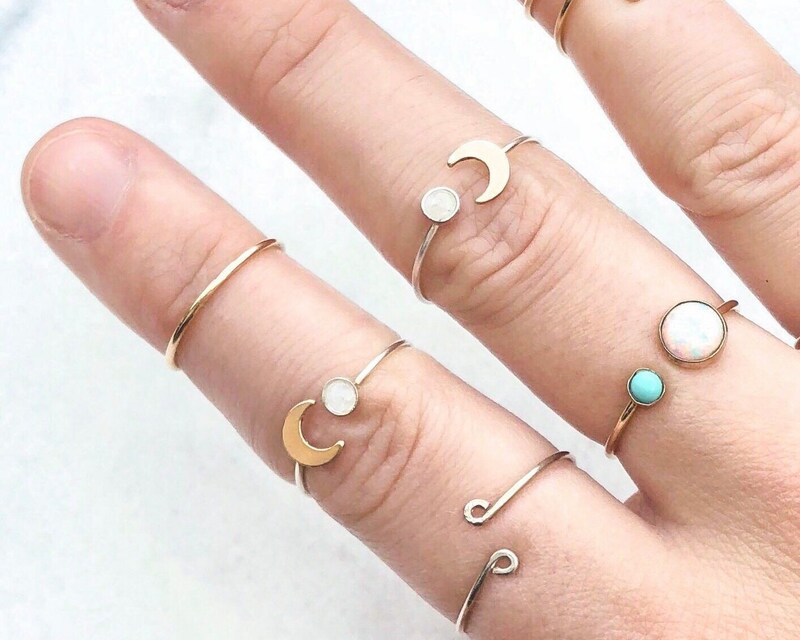 This little ring is customizable: you choose the band size and metal (14k gold filled or sterling silver)! A 14k gold filled or sterling silver band is hammered into your requested ring size. 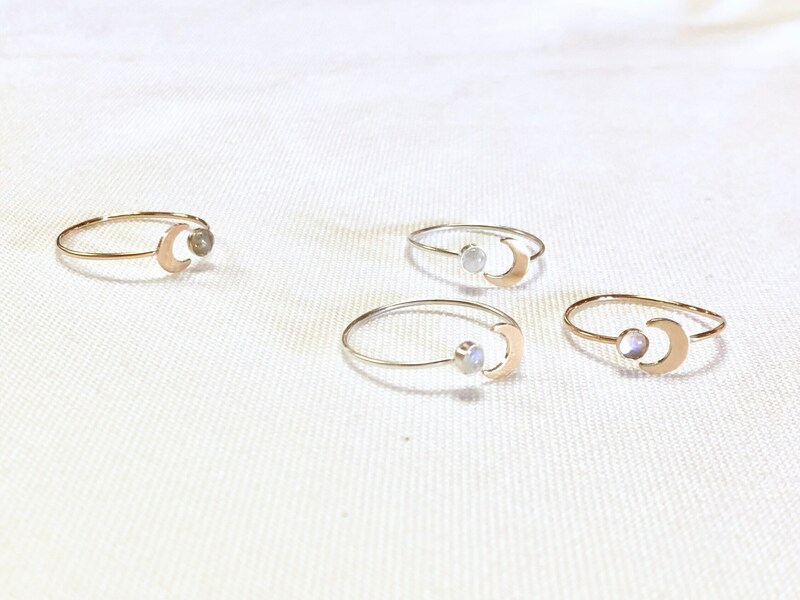 A 3 mm moonstone is set on one side of this open ring with a 14k gold filled crescent moon set on the opposite side. Silver solder is used to join the metal pieces. This gorgeous little moonstone is translucent with little flecks of iridescence. Most commonly, this stone will flash blue in the light. Since this ring it open, it makes a perfect gift! 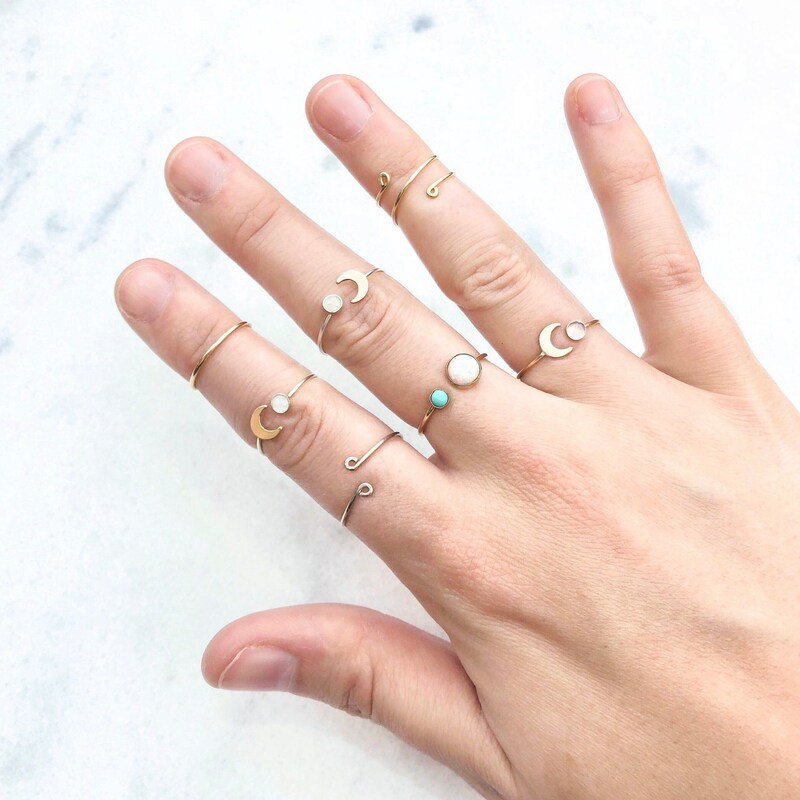 Each ring can be gently enlarged or reduced in size as needed. Interested in a different stone? Message me for stone availability! Each ring is shipped in an individual decorative jewelry box, perfect for gifting. With reasonable care 14k gold filled materials will not peel or flake, and should last as long as solid 14k gold jewelry. It is safe for most people with sensitive skin.